ESOTU Enchanting Runes for Alliance Points? Yes! While crafting away and completing my crafting writs for the night, I saw an intriguing post in my PVP guild chat. 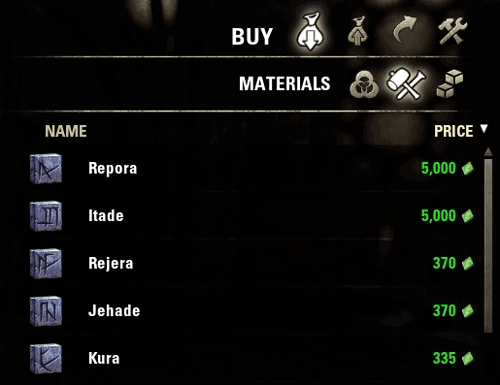 “You can buy enchanting potency runes with AP!”. I finished up what I was doing and headed to Cyrodil and sought out the Enchanting vendor near the main gates. Sure enough, potency runes were on sale for Alliance Points!